Weekly format ruled in gray and red for hourly appointments. 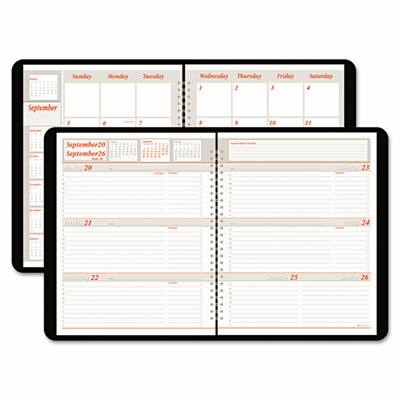 Both weekly and monthly formats include note space. Separate section for recording expenses. Weekly format ruled in gray and red for hourly appointments. Both weekly and monthly formats include note space. Separate section for recording expenses. Appointment Ruling 8 AM to 5 PM Mon.-Sat.